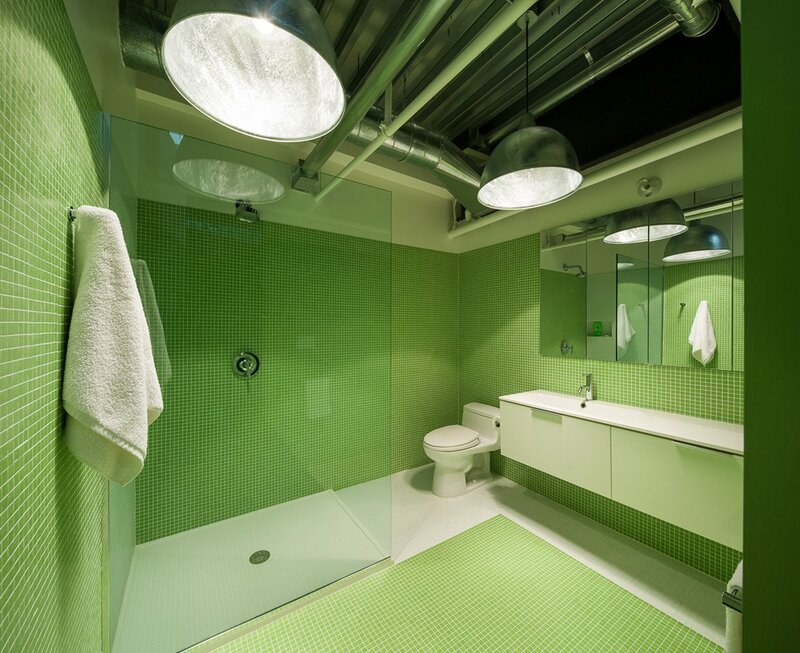 Jury comments: This interior intervention into a private loft uses more than 40,000 individual wooden dowels which activate a pegboard wall liner that wraps a new, second bathroom space. 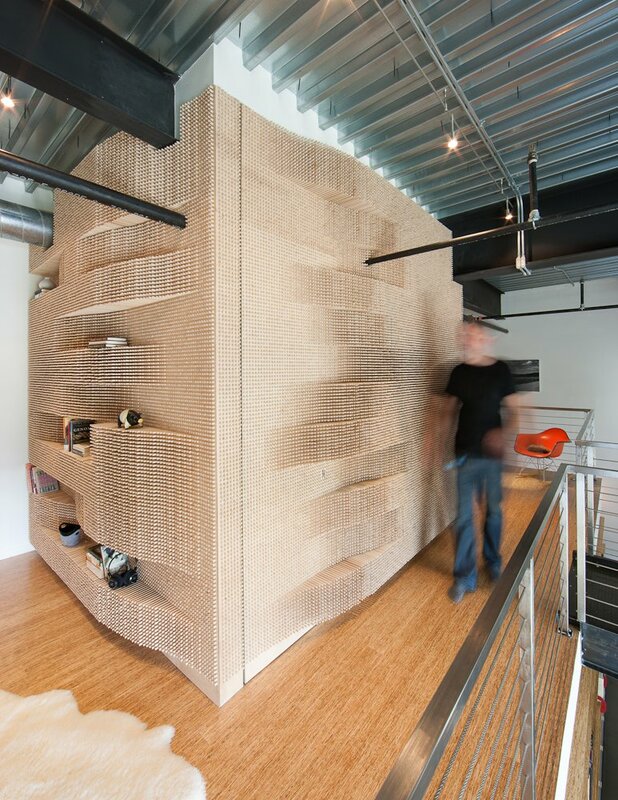 The undulating surface operates as both storage space and enclosure. The resulting shapes could have been more interesting. We wondered whether the material might eventually swell. 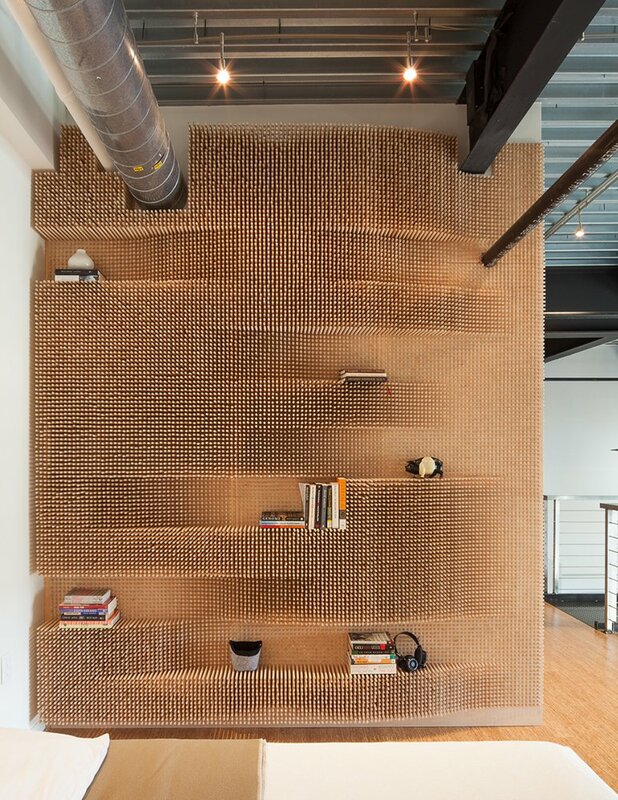 This is a good idea-driven project demonstrating thoughtful use of materials, though the execution falls short.